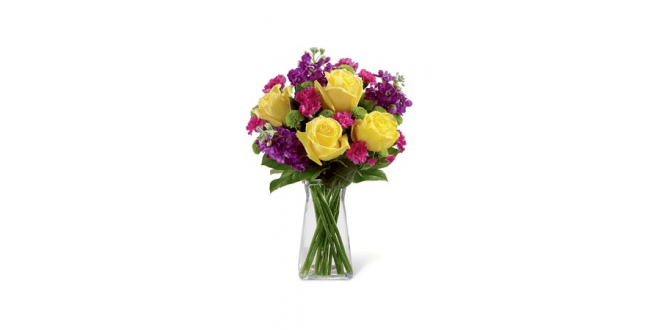 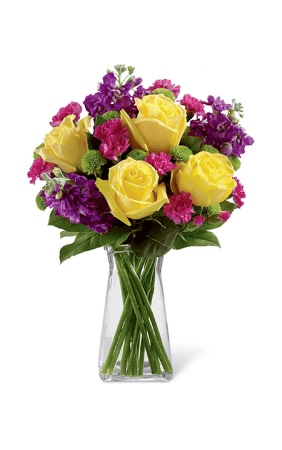 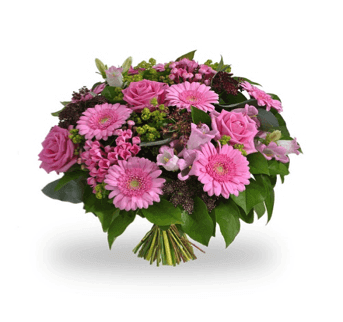 Arranged with fresh flowers including Yellow Roses, Pink Carnations & Green Daisies. Send this flowers to congratulate someone on his/her happy moment. 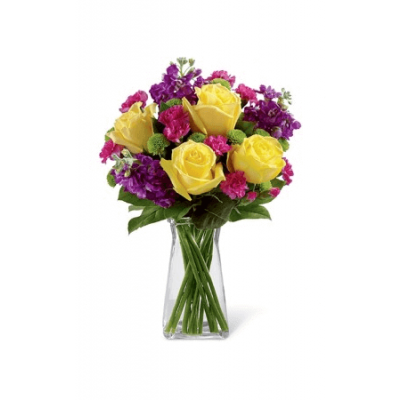 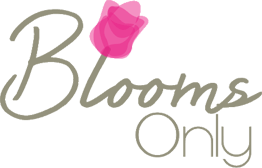 Overflowing with gorgeous flowers, this arrangement is perfect for any special occasions.